I know that the idea of wearing a pair of thick leather boots in the middle of summer seems less than ideal, especially when you consider walking around in the heat and all it entails. Lately, though, fashion girls have been wearing their boots with one outfit combination in particular, and it has us inspired to give wearing boots in the heat a second thought. Maybe it's the influx of chic cowboy boots all over our favorite shopping sites or maybe it's because we're already gearing up for all the amazing ankle boot trends that are right around the corner. Either way, we can't stop thinking about all the perfect summer dresses to wear with boots right now and into fall. 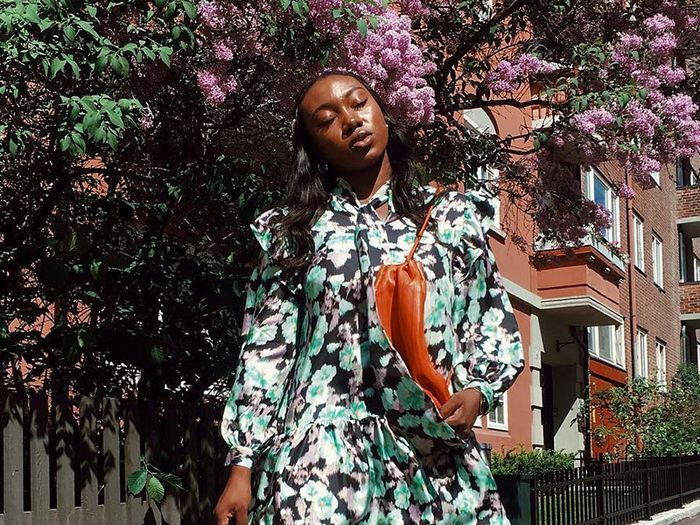 Whether or not you're in the mindset of transitioning your outfits for the season ahead, you can start wearing these dress-and-boot combos right now and extend the shelf life of your summer dresses well into fall too. From the print that marries perfectly with Western-style boots to the outfit that will win over even die-hard romantics, go on to see the eight combos we can't stop thinking about. Now read about what happened to my style when I went on a month-long Instagram detox.